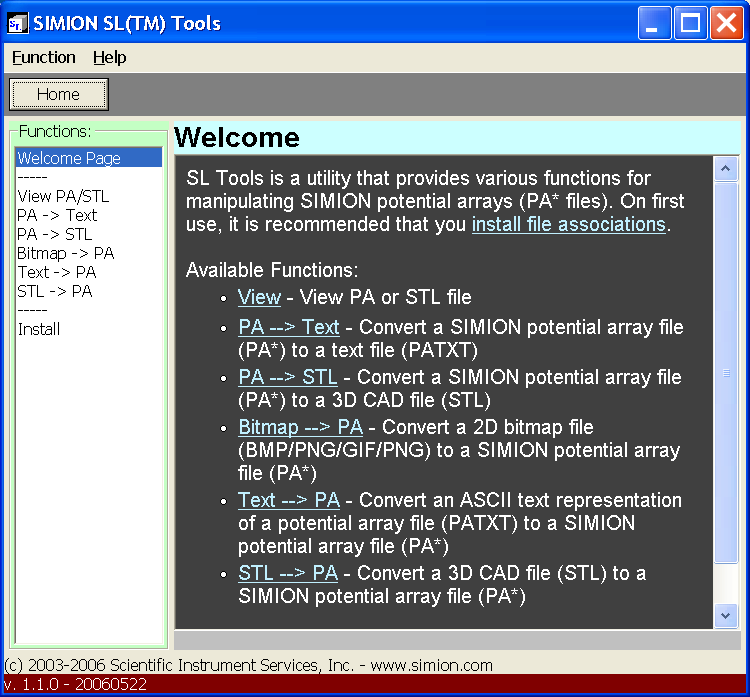 The bottom of this page contains many screenshots from SIMION 8. 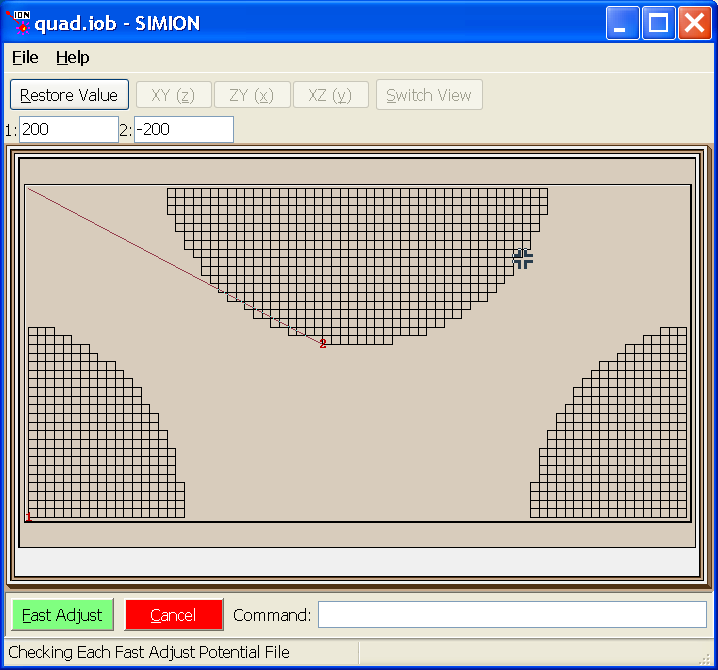 Additional screenshots (mostly from SIMION 7) are in the below links. 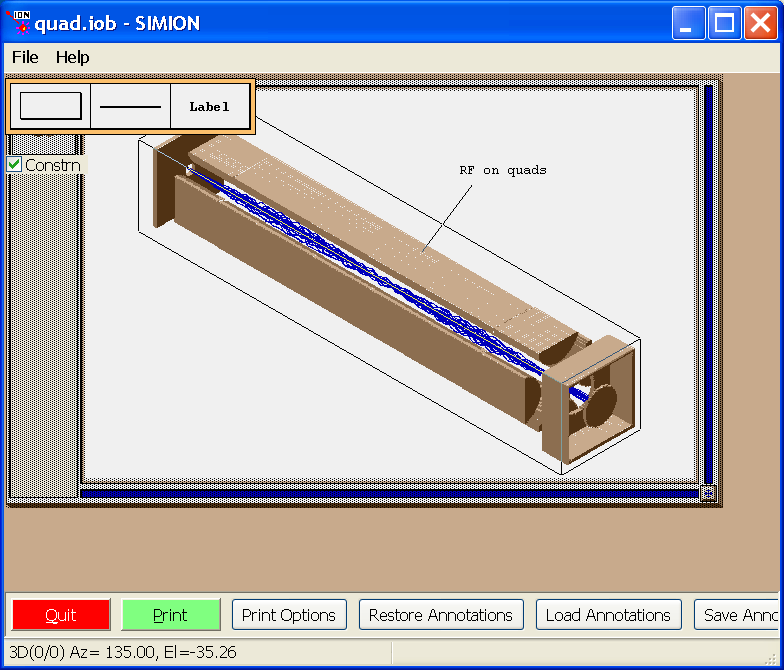 Email us with any screenshots you’d wish to add. 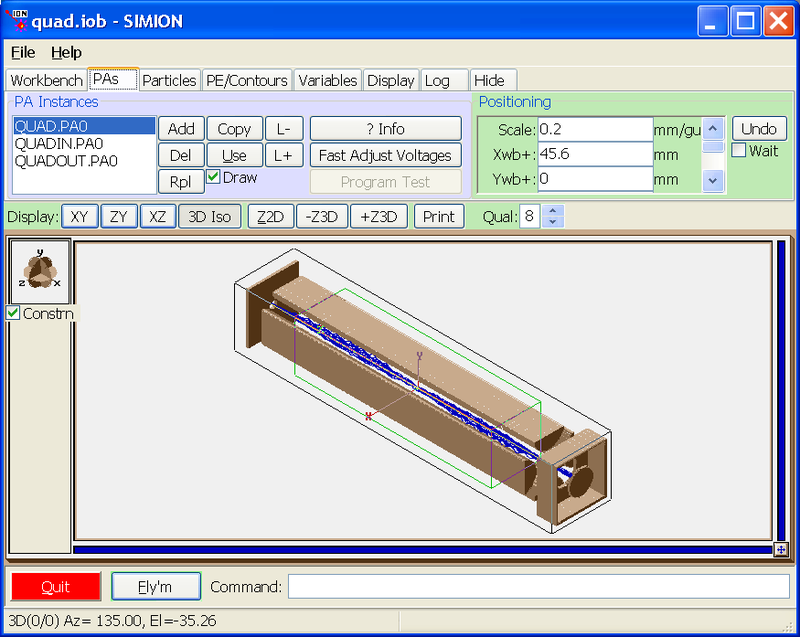 Compatibility tests: Linux example ; Large screen example. 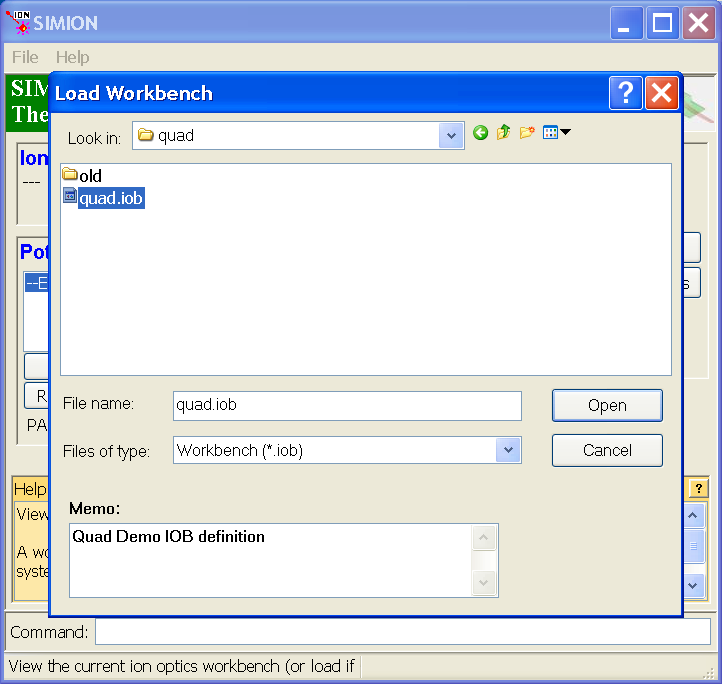 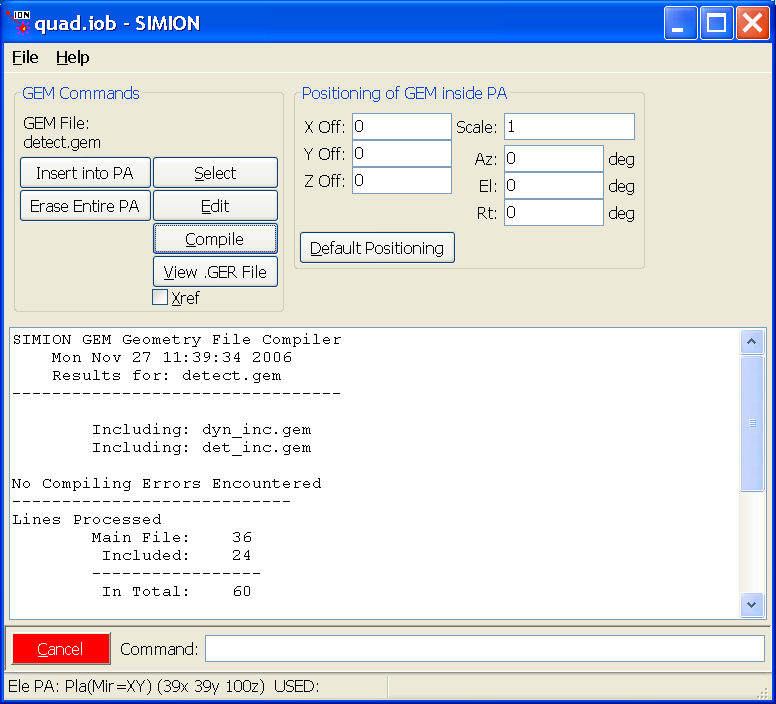 Opening file (note: the GUI File Manager of SIMION 7 is history). 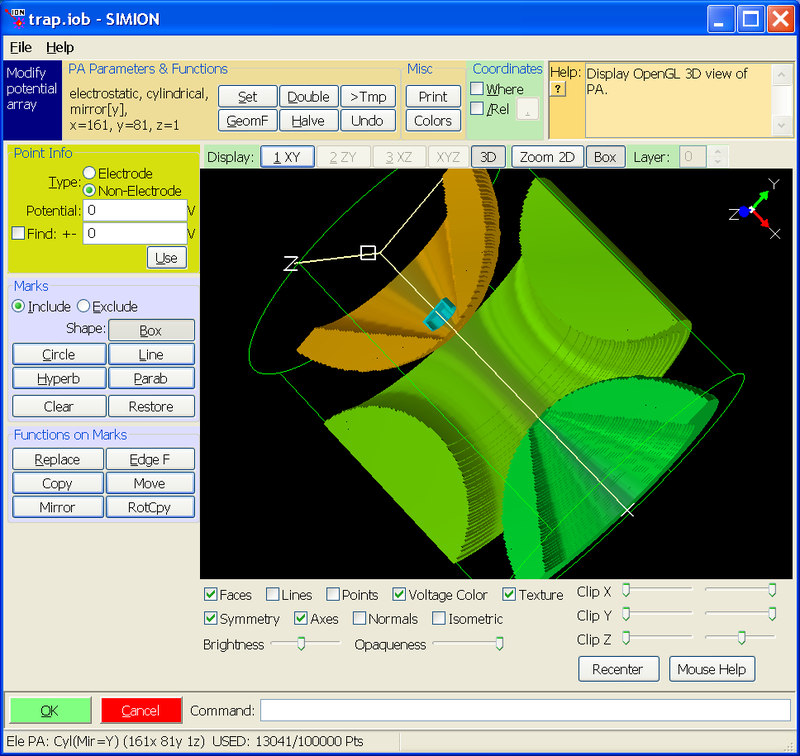 SIMION Modify geometry screen showing exit section of quadrupole. 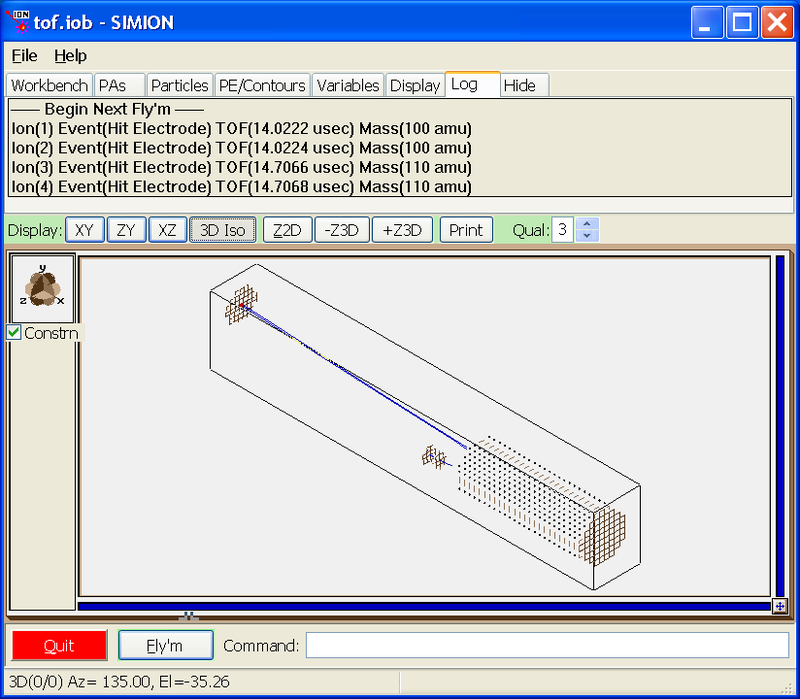 SIMION Modify geometry screen showing ion trap. 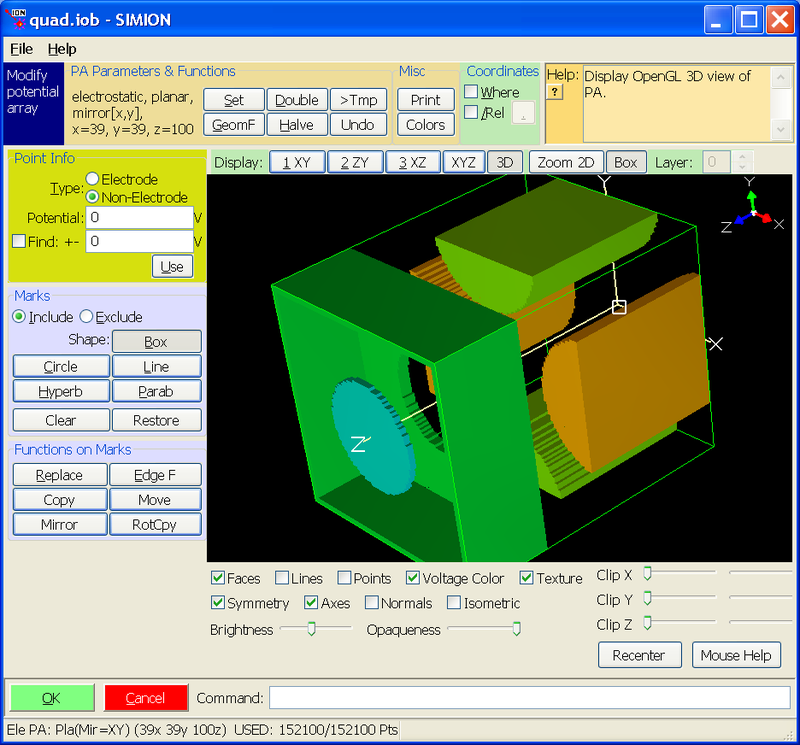 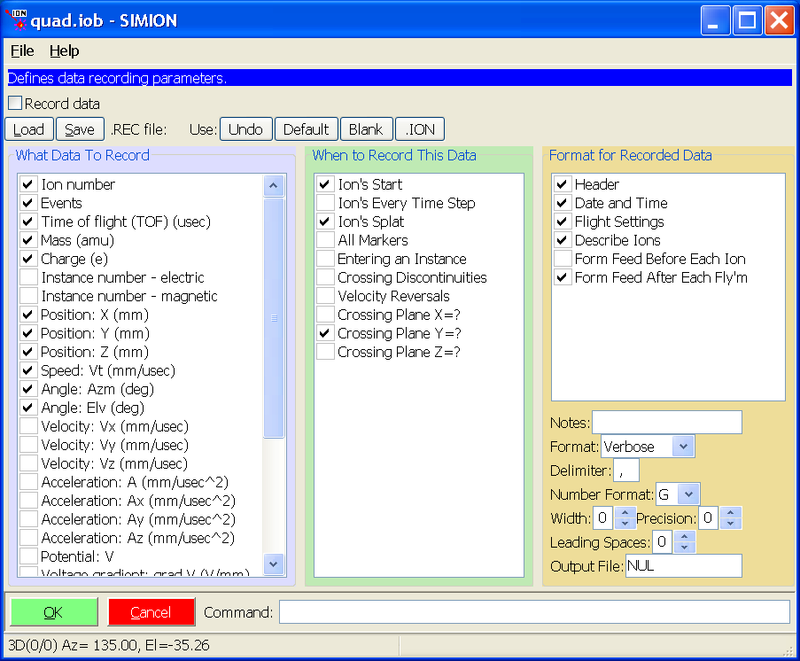 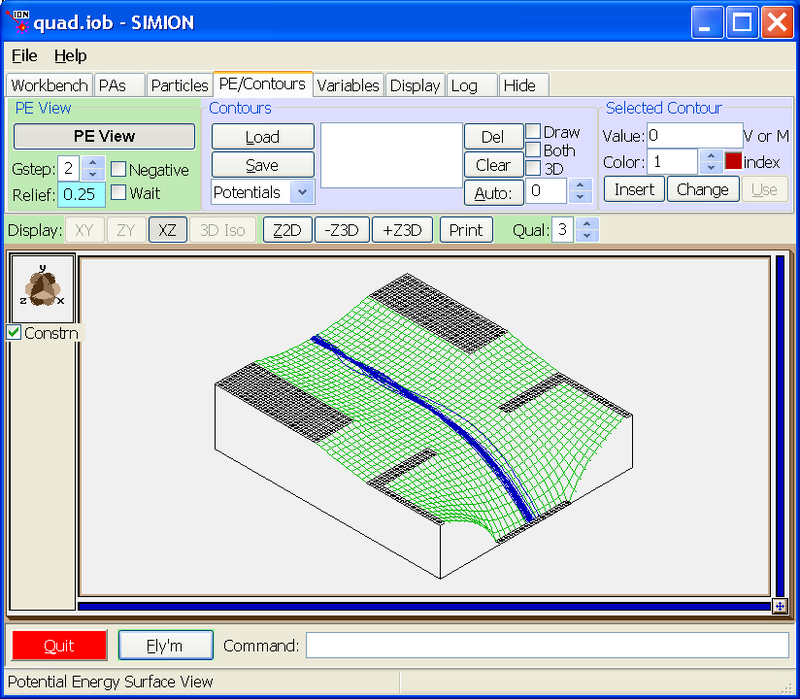 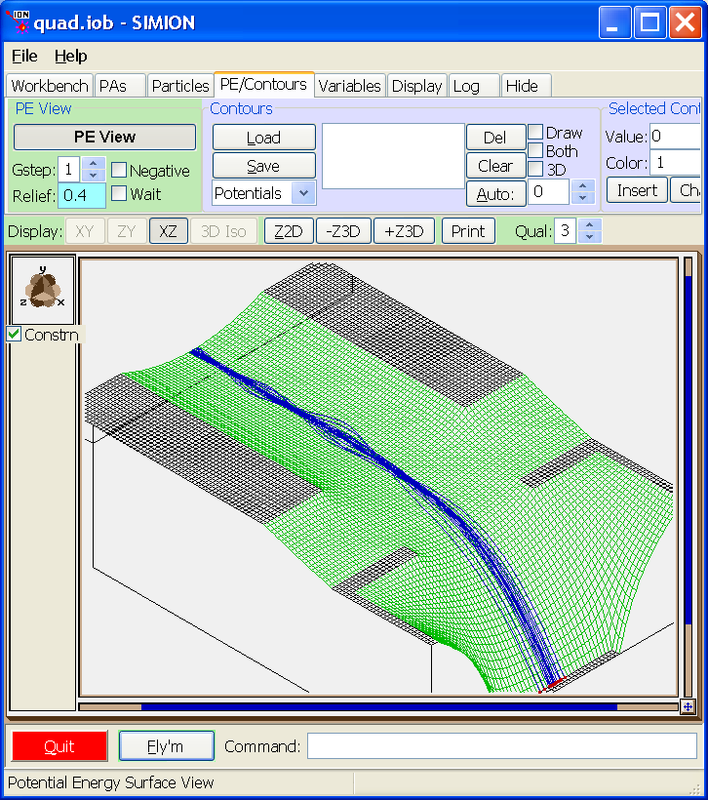 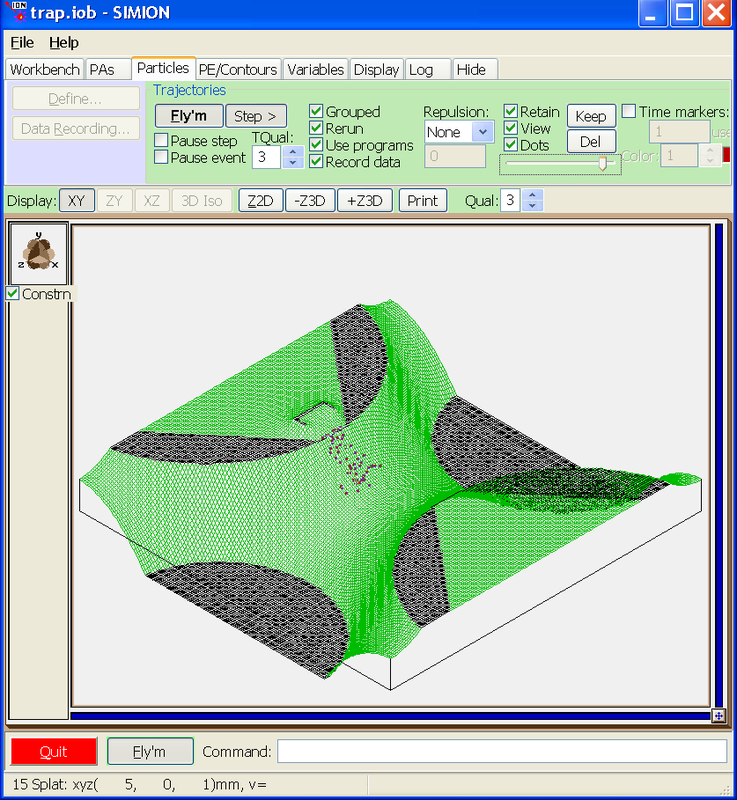 SL Tools utility with CAD conversion and PA import/export functions. 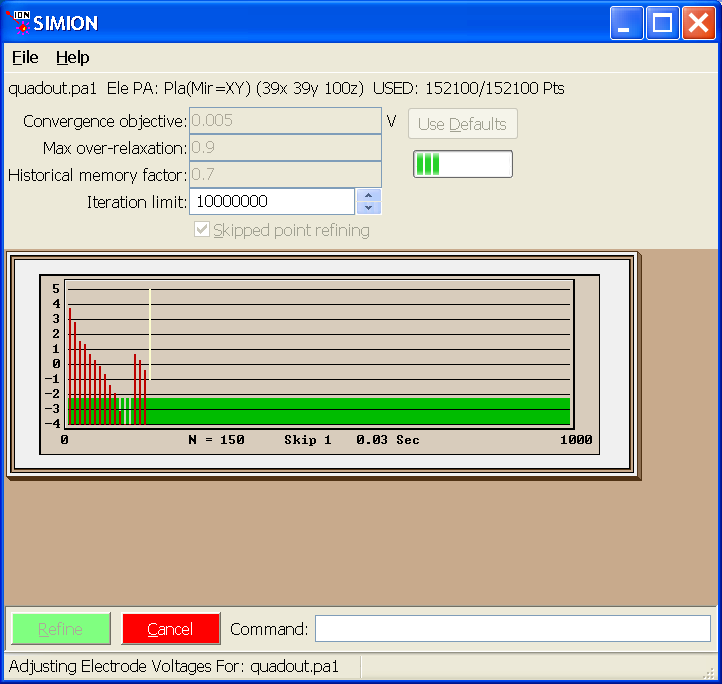 Fast adjust voltages on electrodes. 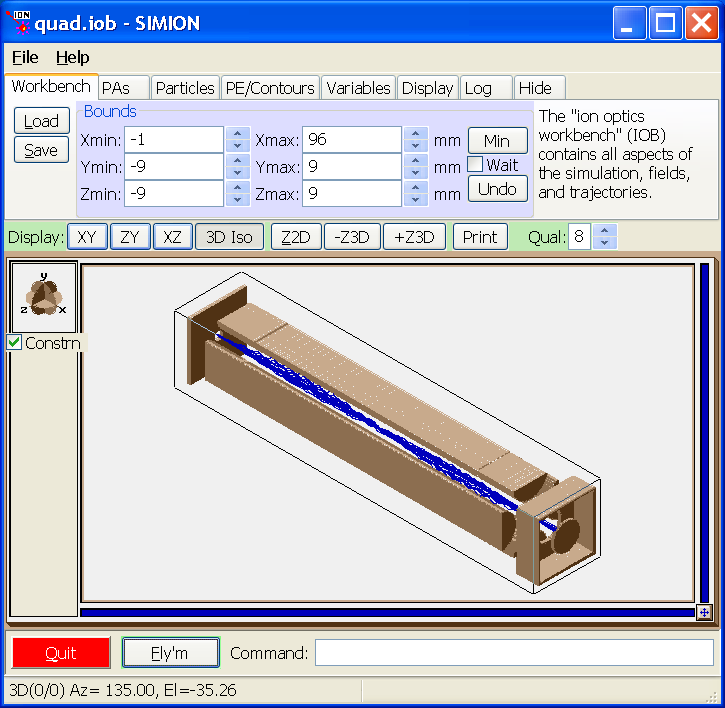 Cut inside quadrupole to see trajectories. 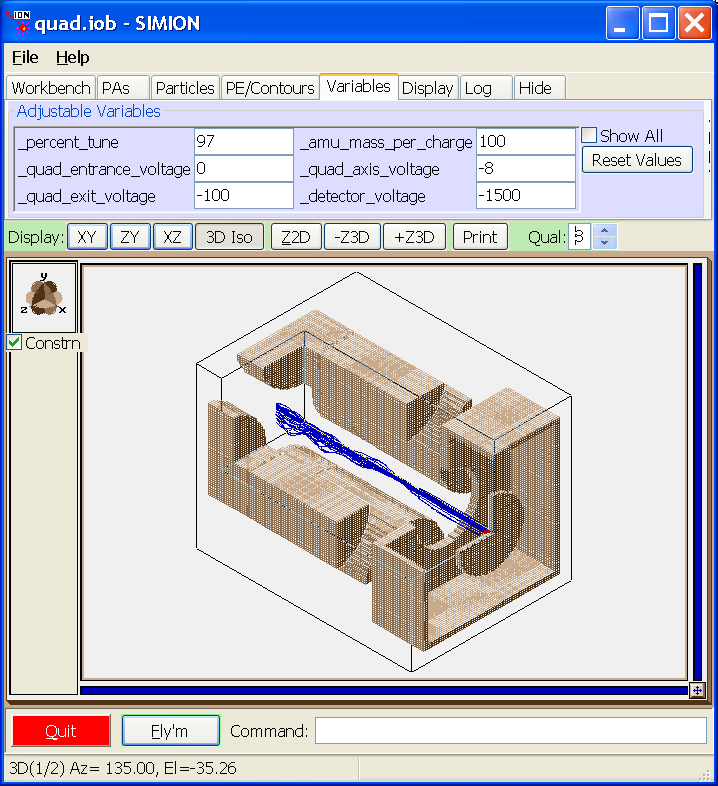 List of PA instances in workbench. 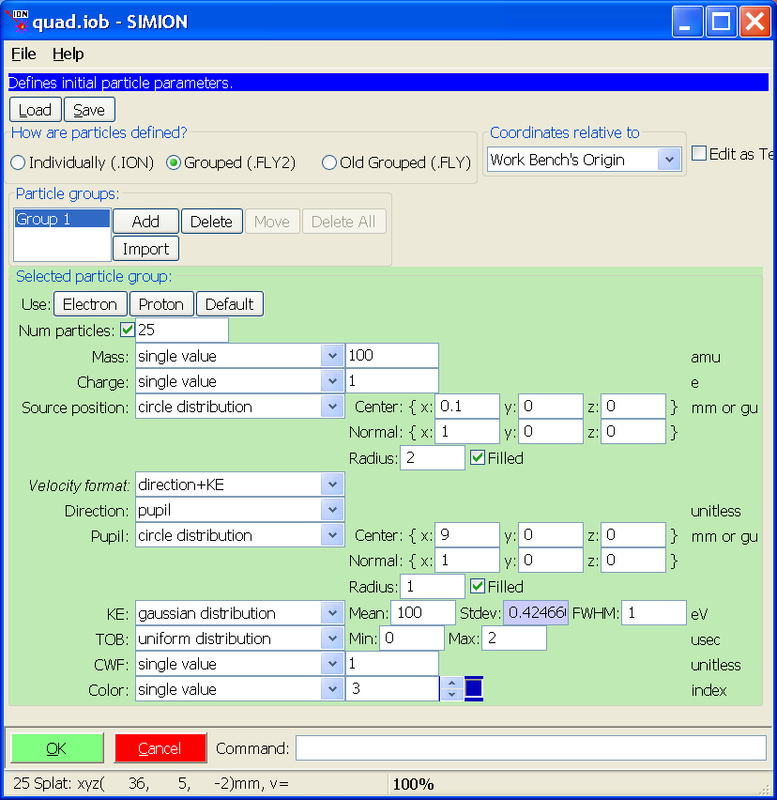 More complex example of defining particle initial conditions. 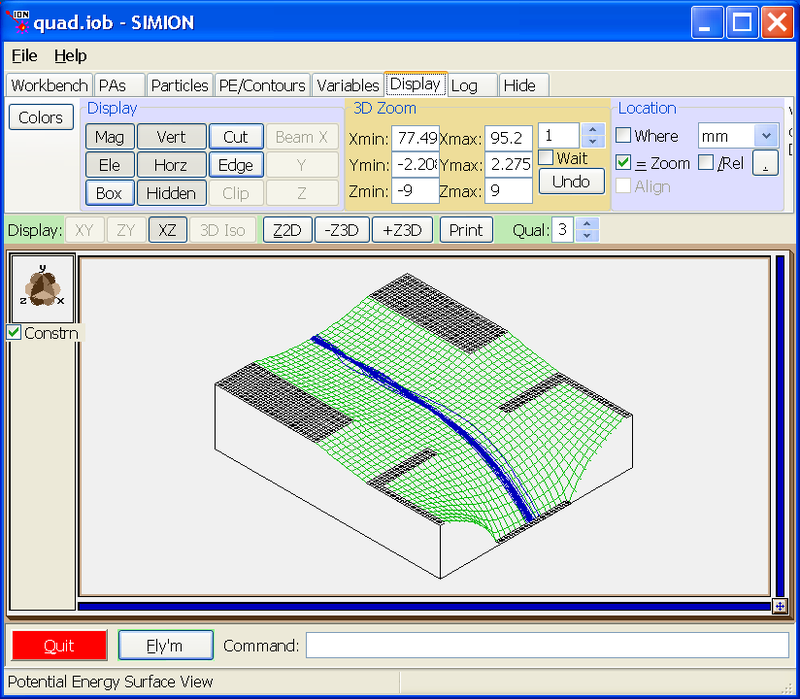 Potential energy surface of quadrupole. 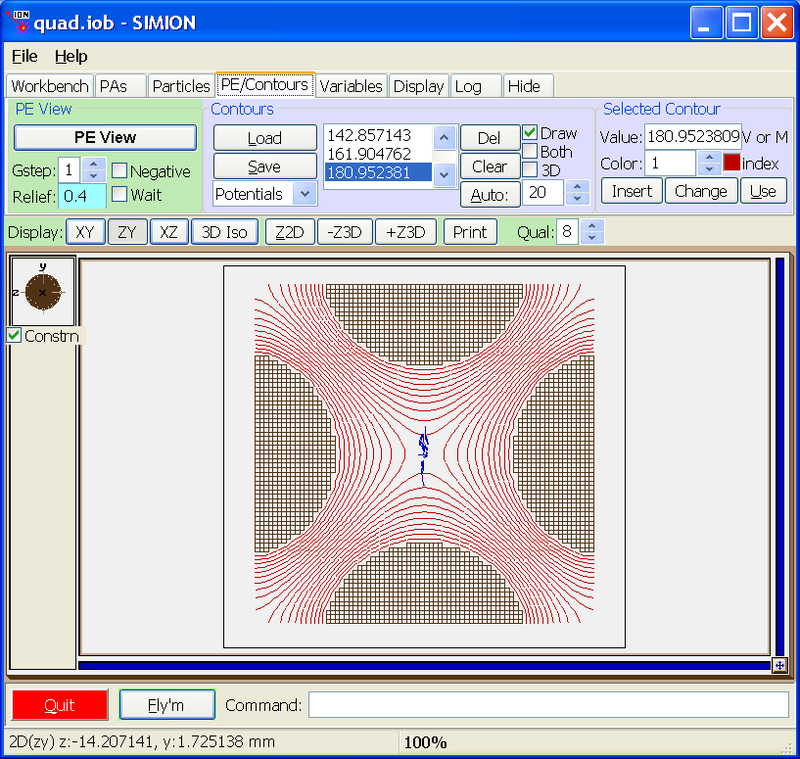 Undulating potential energy surface of ion trap with ions flying as dots. 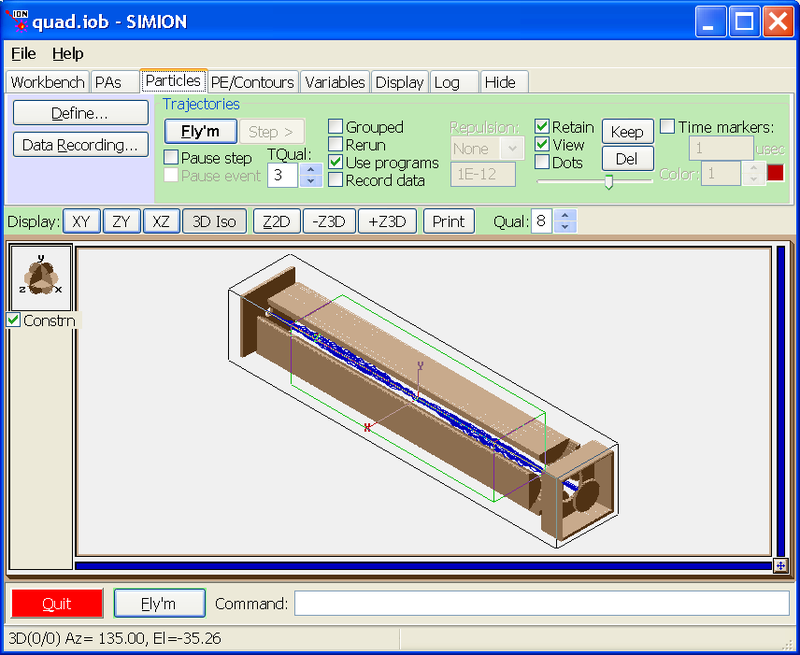 Time of flight example showing data recording results in Log window. 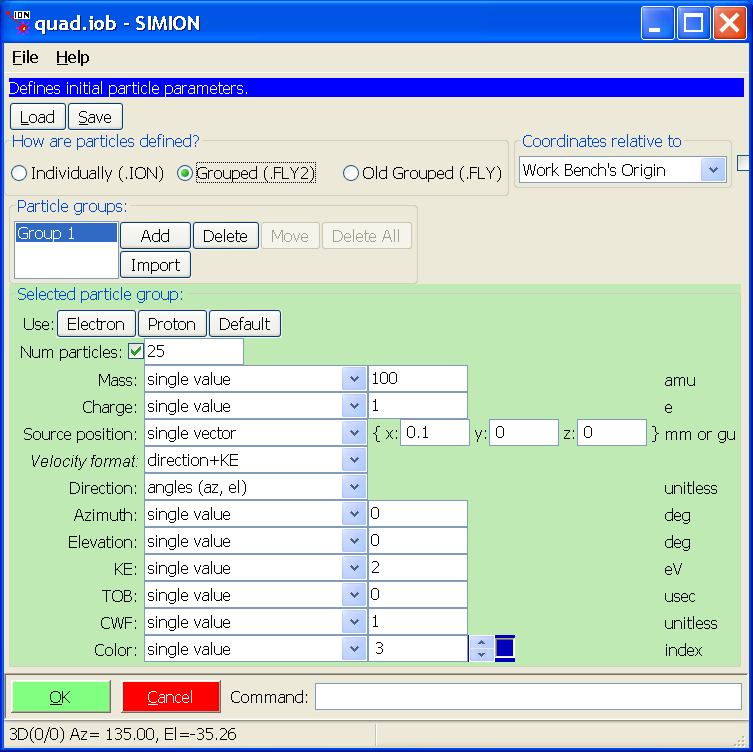 User adjustable variables in quadrupole example. 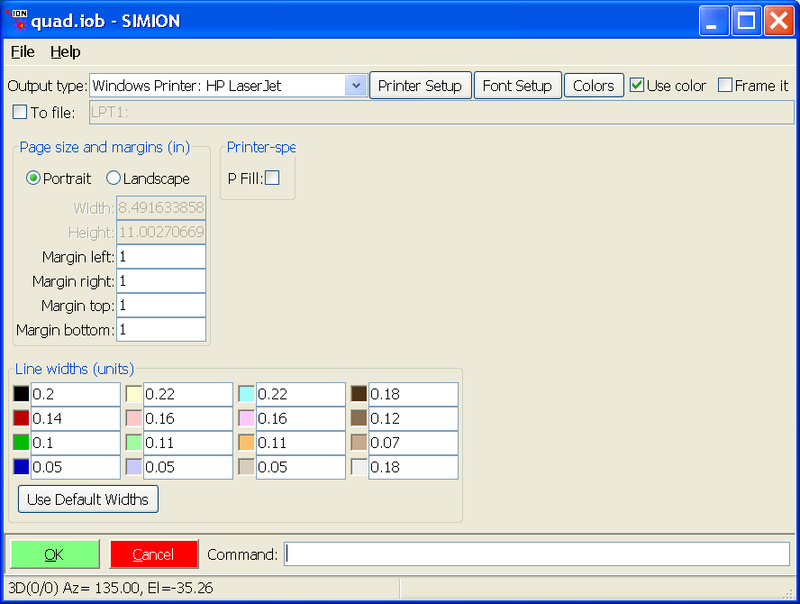 Image annotation screen (before printing). 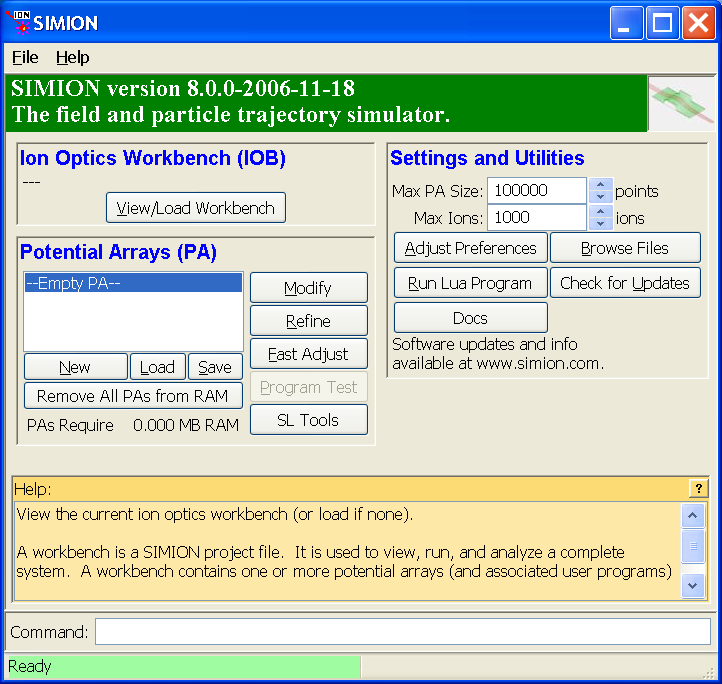 For additional examples, refer to the SIMION Supplemental Documentation.